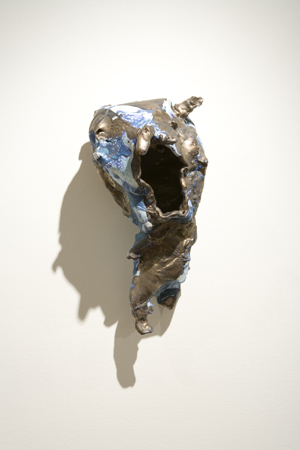 Darkness, Installation view, Steve Turner Contemporary, May 2010. Eighty Eight, 2010. 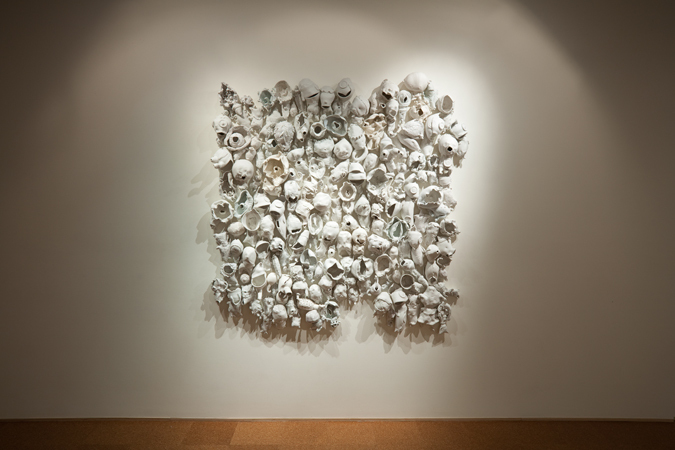 Glazed porcelain, 72 x 84 x 7 inches. May 2010. Ashura, 2010. 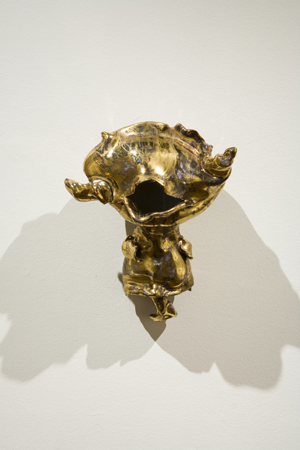 Glazed porcelain and gold luster, 11 x 9 1/4 x 7 inches. Obake, 2010. 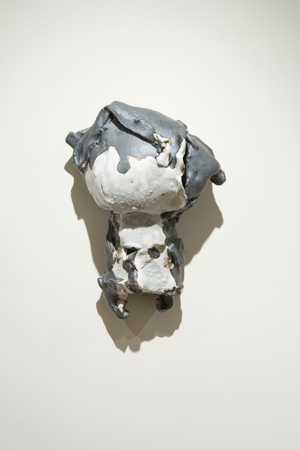 Glazed porcelain, 10 x 5 1/2 x 5 inches. Kuro, 2010. Glazed stoneware, 11 x 8 x 5 1/2 inches. Akubi, 2010. Glazed stoneware, 15 x 7 x 8 inches. Shiro, 2010. 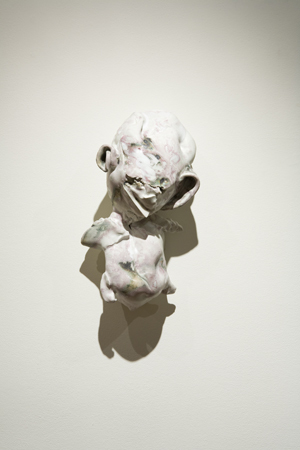 Glazed porcelain, 12 x 7 x 5 1/2 inches. 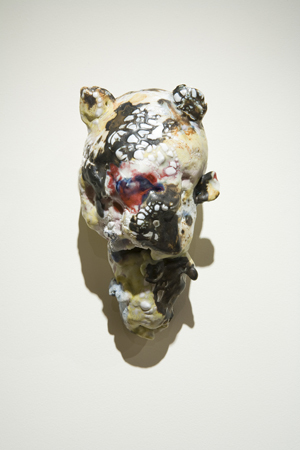 Hannya, 2010. 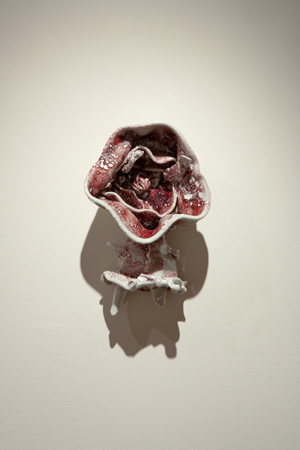 Glazed porcelain, 10 x 7 x 5 inches. Eighty Eight, 2010. 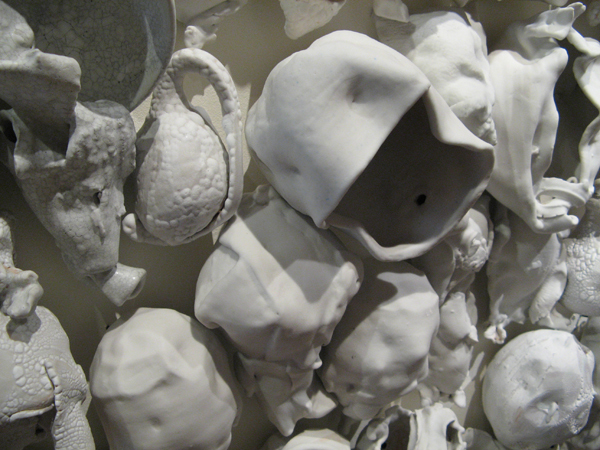 Glazed porcelain, 72 x 84 x 7 inches (detail). 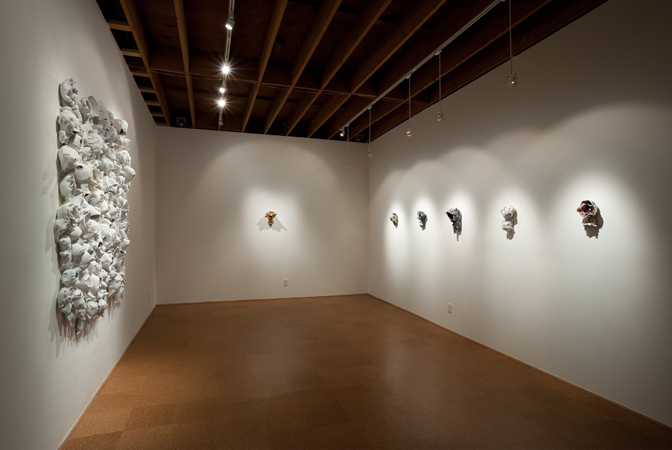 Steve Turner is pleased to present Darkness, Mitsuko Ikeno’s first solo exhibiton with the gallery.The centerpiece of the exhibition is a cluster of more than one hundred handwrought porcelain works which depict humanlike figures. They have a variety of surfaces, having been fired with three different glazes; some were then sandblasted after being fired. 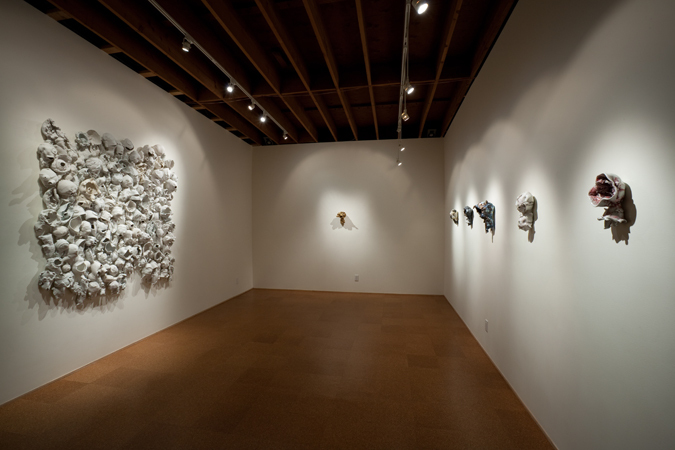 Born in Kyoto, Mitsuko Ikeno earned an MFA from the University of California, Los Angeles (2009) and a BFA from the University of Alaska, Anchorage (2006). 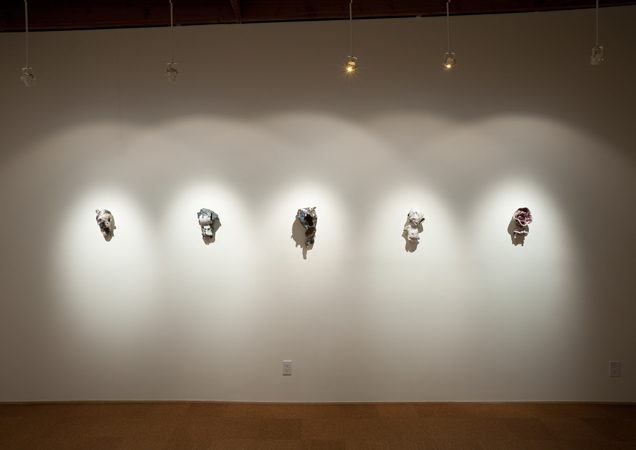 Her work has been included in numerous group exhibitions including Keramic, Pacific Design Center, Los Angeles (2010); Head Up, Domestic Setting, Los Angeles (2009) and Carl Berg Projects, Los Angeles (2009). She currently is working at the ceramics laboratory at UCLA. Steve Turner Contemporary is a contemporary art gallery based in Los Angeles that represents the work of emerging and established contemporary artists. Gallery hours: Wednesday-Saturday, 11- 6. Please contact the gallery for further information.